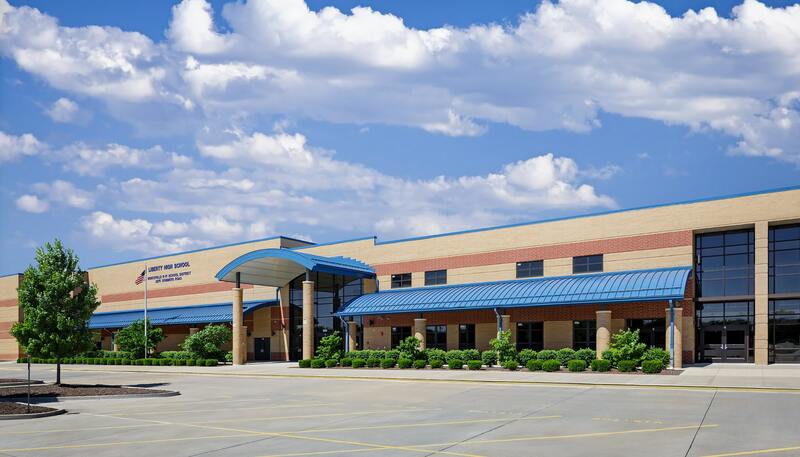 Liberty High School campus master planning and multi-year implementation due to funding requirements within this rapidly expanding district represents a major element of the District’s long-range planning efforts to address large enrollment projects and growth in the past decade and beyond. Phase one provides for over 1,200 students with projected maximum enrollment of approximately 2,000 students. 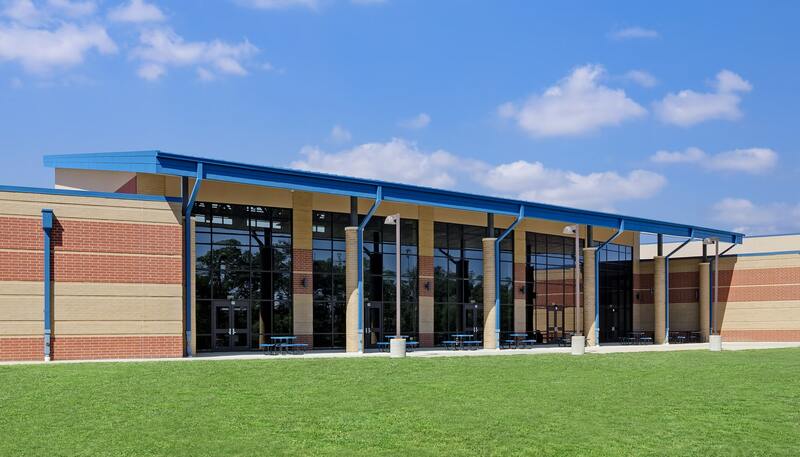 Phase one provides a full complement of general and specialty academic spaces including general classrooms, science lab/lecture rooms, art, FACS, industrial arts, Project Lead The Way (PLTW) and special education spaces. 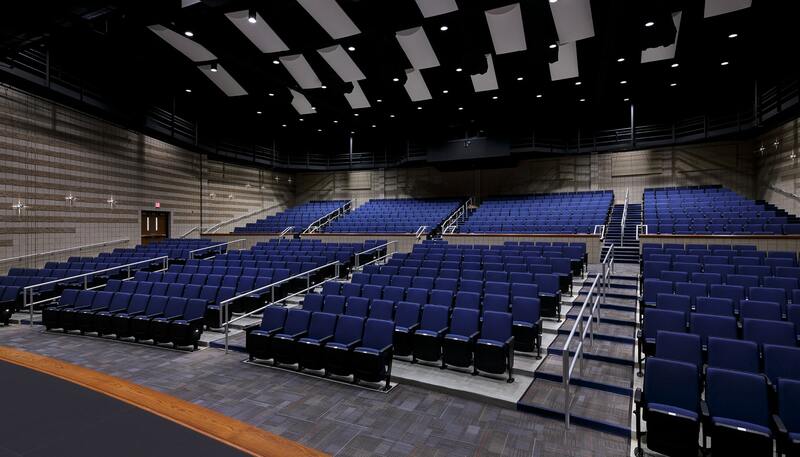 The main gymnasium, fitness room, wrestling room, locker rooms training and support spaces as well as specialized music spaces for both band and choral programs as well as practice rooms and special storage spaces. 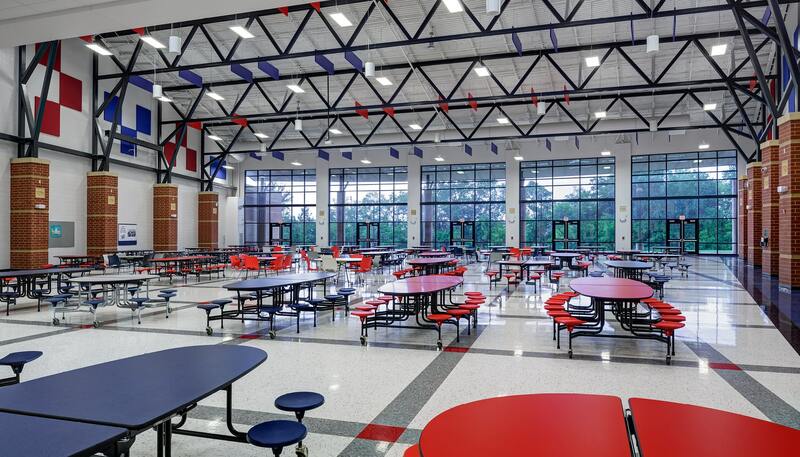 The media center/library is located adjacent to the large cafeteria/commons space along with full food service and building plant spaces are provided. A complete administration and separate counselor’s suite are provided. Site work includes student and staff parking, bus loading area, student pick-up/drop off loop drive. Site P.E. facilities include football field/track, bleachers, press-box, storage, concession/restrooms as well as soccer filed, ball diamonds and tennis courts. Special site design requirement included both a vehicle and pedestrian bridge across a protected/permitted creek and an on-site water well provides for field irrigation. Phase one started with freshman class. Phase two includes expansion of one of the academic classroom wings and a practice gymnasium and support spaces required to accommodate the enrollment growth with each new grade level added. 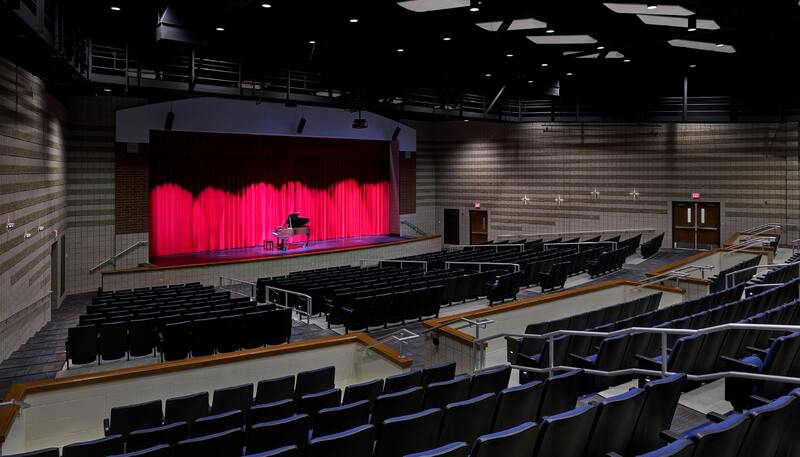 Phase three provides a complete performing arts auditorium, including thrust stage and orchestra pit, green room, dressing rooms, costume storage, scene shop and storage, control booth and new entry lobby as well as drama classroom.